THAI TOURISM CROSSROADS – WHICH WAY NEXT? Press Coverage of the Bangkok Protests – Where do these guys come from? A criminal fraud case which was brought by Briton Grahame Beecham against ThaiVisa Property Company has been settled out of court. Mr. Beecham who lives in Hua Hin and was a partner in the business withdrew the case and I understand the settlement with ThaiVisa’s George Andersson was amicable. 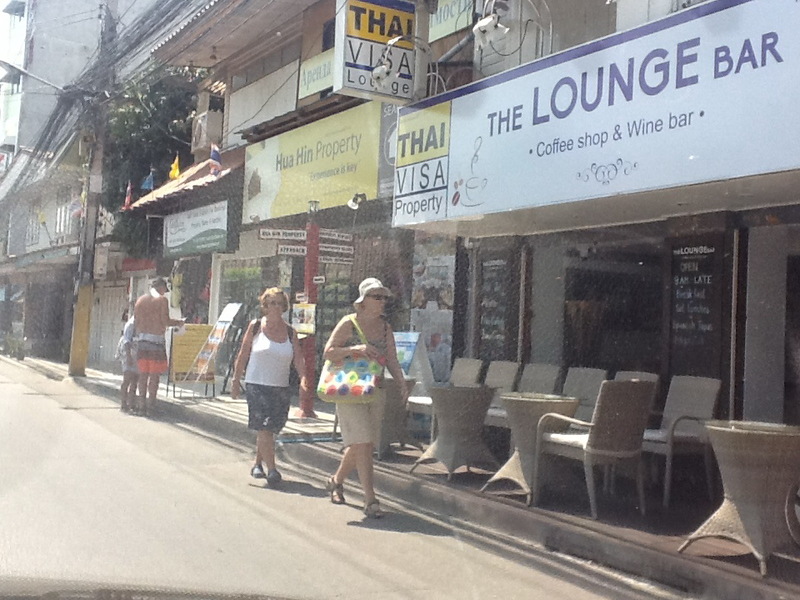 The name Thai Visa has been taken off a bar in Hua Hin next to ThaiVisa’s property office. Announcement says Stickman will be made tomorrow. Shame they didn't take all the furniture off the pavement at the same time like a good law abiding company would. I've been permanently banned twice. Now it looks like they want me back. A serious dispute settled amicably without the involvement of thugs and threats for once. Nice. I hope for their own sake, the buyer has checked out ThaiVisa's actual traffic rates, not the rates Conehead tells them. Over the last months topics on Thaivisa have been getting fewer and fewer responses – some days it seems like little or no traffic on Thaivisa at all. This is true. The site has gone very quiet. The hard-nosed moderators blocked hundreds or thousands of members. The most damaging thing was having The Nation sponsor the News Forum. It's a Junta/Royal mouthpiece and brainwashed a percentage of the members and divided the site into Reds & Yellows. Drop The Nation I advise the new owners. Outstanding business model….get gimps to work free…bodgy up the member numbers….flog it off and retire..
Like others I have also been banned permanently for posting in the world news section. My crime was to disagree with Jingthing and another who must spend their entire life on the site to clock up around 50,000 posts. Scott is a moderator who is very pro Israel and will not allow any critics to have a go at Netanyahu. I notice I can now access the site without using a proxy. In my opinion the new owner needs to weed out a lot of the moderators who are doing him no favours. The membership numbers are inflated at Thai Visa since the moderators block members but do not ban them.